I have not updated the biography on this saint because there is controversy on the biography thousands of people say thousands of different waqiyas of this great qalandar. 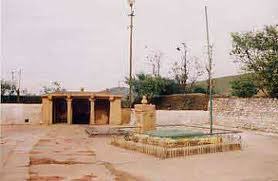 All Awliyas of very great heights have visited Baba Budan Giri Hills from centuries. So it is better not to include biography of this great qalandar. ( The controversy is that some people say he is the son of second Azwaja-e-Mutharah of Hazrat Ali Karam Allahu Wajhu and his name is Mohammed Haneef Razi allahu anhu. Some people say he is one of the sahaba-e-Ikhram whom huzoor-e-kareem ( sal-lal-lahu alaihi wa sallam ) sent from madina and some people say he is a great qalandar disciple of a great auliya ). But one thing is definete said by great Qutbs / Abdals like Hazrat Khader Hussain Auliya (RA) of Bangalore and Hazrat Khwaja Lalu Bhai Qasir Chishty (RA), Bangalore, both these auliyas have gone to Baba Buddan Giri hills and have met Hazrat Dada Hayath Qalandar ( Qaddas allahu sirra ul azeez ) in Zaheri . Not even these Great Auliyas But also there is a very big list of many other auliyas who have confirmed the presence of Hazrat Dada Hayath Qalandar ( Qaddas Allahu sirra ul azeez ) in these hills, which is a world famous spot famous by this auliya name from centuries. Not only all these auliyas even hazrat Zikriya Jamal Uddin Magrhibi ( Qaddas allahu sirra ul azeez ) and his brother are the two auliyas whose mazar e shareefs is on the left side in open sky before entering the steps of Gawi Mubarak in Chickamangalur.